Are you fed up with buying skin creams that promise the world and do very little to improve your skin? Often it’s more about what we put into our bodies that will have a effect as a topical cream can’t really target the root of the problem. 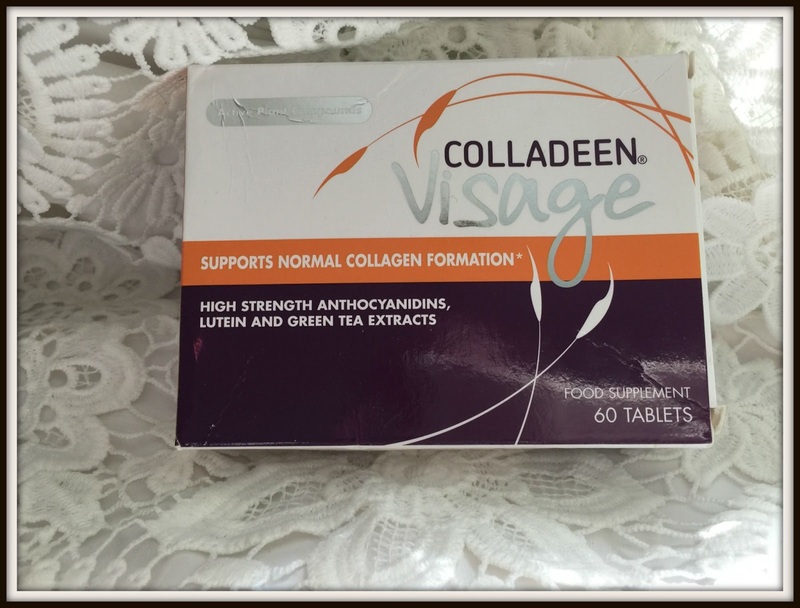 Colladeen Visage is a food supplement designed to support natural collagen formation reducing spider veins and fine lines. A clinical study found that the tablet was able to improve skin firmness, reduce wrinkle depth and provide natural sun protection factor SPF 15 within just 10-12 weeks. The supplements have a potent mix of natural plant extracts high in Lutein and Anthocyanidins that combined help to improve the skin from within. Millie Mackintosh is a big fan of the supplements and really believes that they help give her skin a extra boost. My skin is okay but I do have little broken spider veins that I really hate. Whilst I can cover them up with makeup often I find that the makeup slips and the blemish is revealed. That was my main motivation to try Colladeen Visage that was kindly gifted to me but I was keen to see if the anti-aging aspect would have a effect also. I will be testing the product over 8 weeks as recommended by the brand and I will post my results at the end of the review. Do keep checking in to see how I get on!